Nutritionists have always said, “breakfast is the most important meal of the day,” however, finding the time and space to actually eat it is a different story. This is mainly due to most kitchens not having a designated breakfast space- till now. If you have been looking into upgrading or adding to your breakfast space this guide is the one for you! 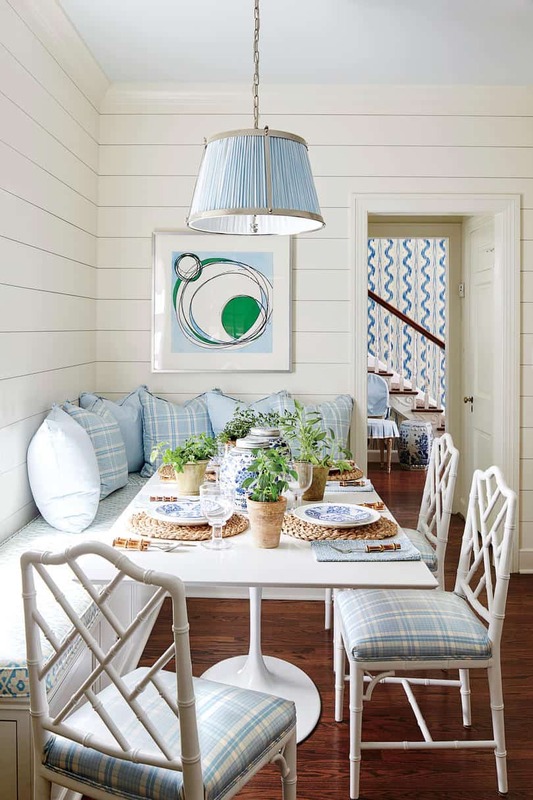 When selecting what colors to use for your coastal breakfast nook, consider rich hues of navy for that bold element that brightens the room yet gives it character. 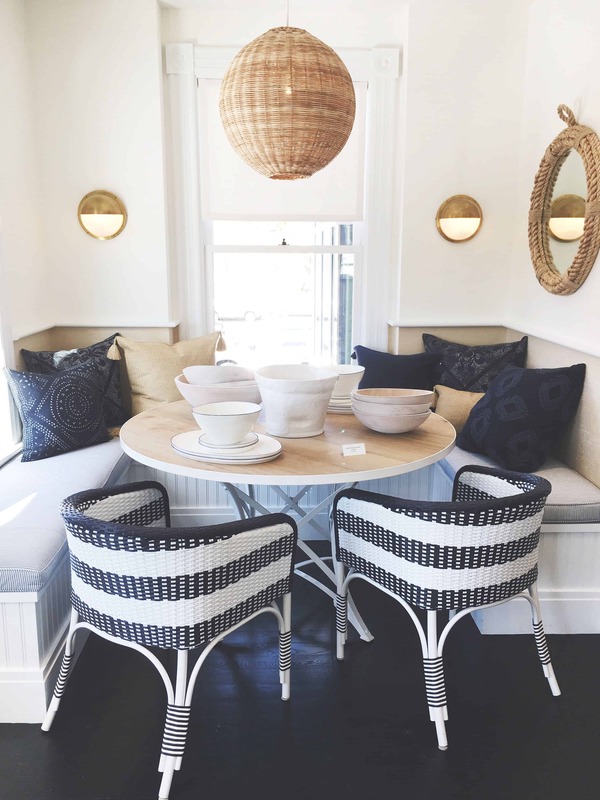 If you have always been intrigued by coastal décor or want to give your home a beach house vibe, this one is for you! Add rattan furniture and pair it with bright shades of navy, white, beige and tropical prints for that beach house feel that beams off of your décor. 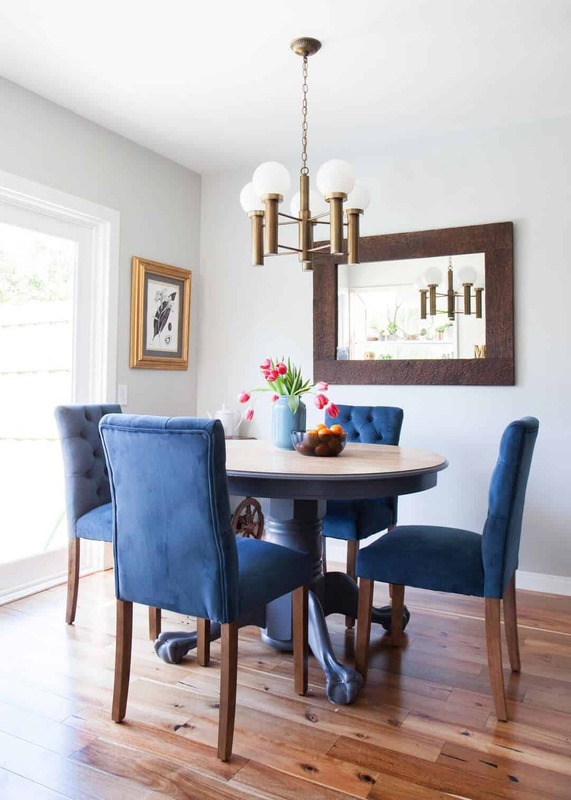 Add a brass light fixture to bring beauty yet have a complimentary touch to your breakfast area. Pair with wood furniture to brighten the brass bits. This color combination feels rich and luxurious without being over the top. Pair your navy chairs with darker hues of brown and brass for a little something unique while still being classic and put together. Furthermore, consider adding a wallpaper for a sleek brightening effect. For that stark eclectic feel add a fun, yet funky light fixtures to bring it all together. The more “different” your pieces are the more contemporary and eclectic they will appear. There is just something about using multiple décorative elements that might seem like they might not necessarily work well together, but when they put together it into one space the room comes to life. The same goes for your breakfast space. Pair string lights paired with fun chairs that are unique, yet fun to look at and have. Add a booth touch to your rustic nook to make the room have a signature element that feels almost like a farmhouse aesthetics. A wooden built-in bench is great when you want to have a classic yet informal vibe to the room. Add a few printed, colorful throw pillows to brighten up all the wood you already have while giving you that touch of color and beauty. Consider printed bits to add an additional layer of texture and unique character. Keep your windows open and airy to allow you to truly engulf yourself in your view and the beauty that the great outdoors is. If you have a set of windows in your kitchen, take full advantage of it by having your breakfast nook directly in front of it. Use colorful elements to bring your outdoor décor directly inside for a sleek touch that makes sense to the room. Keep your decor airy and open to ensure your window feels like the main focus of the room. Add greenery to enhance your white and airy aesthetics, pair with hints of pastel to make the area feel larger. There is nothing quite as appealing as having an airy room that feels fresh and clean. Achieve this by having mostly white decorative pieces in the room and pairing them with other simple bits. Doing so will have that brightening effect that feels seamless to the space. Go for a bolder yellow when you are working on having your breakfast nook become the main focus of the room. As the weather begins to warm up for most of us, it is time to bring in the yellow hues. Add pops of yellow here and there to bring the area back to life. If the brightness of the hue scares, you consider patterned bits with neutral hues to break it up a bit. When it comes to minimal decor, keeping it simple is the way to go. Consider adding hints of color for a beautiful contrast that brings the room back to life. 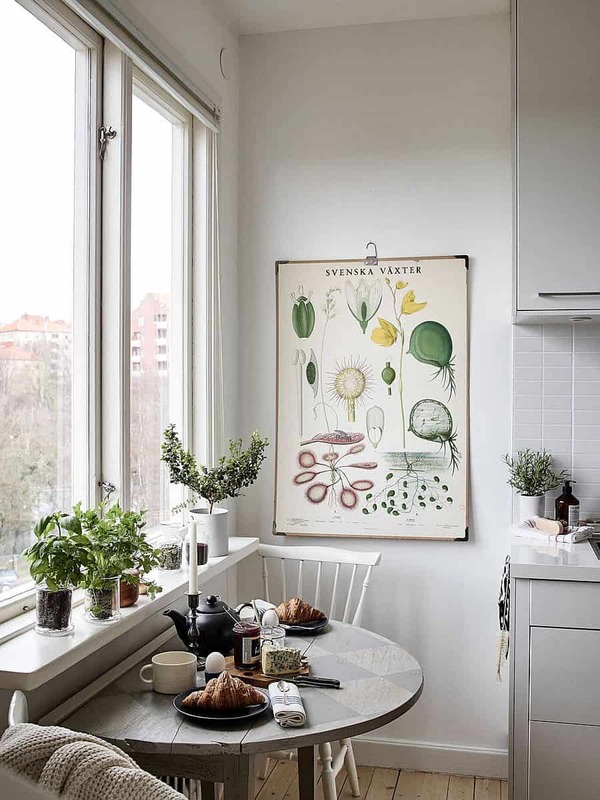 Your breakfast space does not need to be loud and in your face, it can be simple and chic. That is where a minimally decorated breakfast nook comes into play. 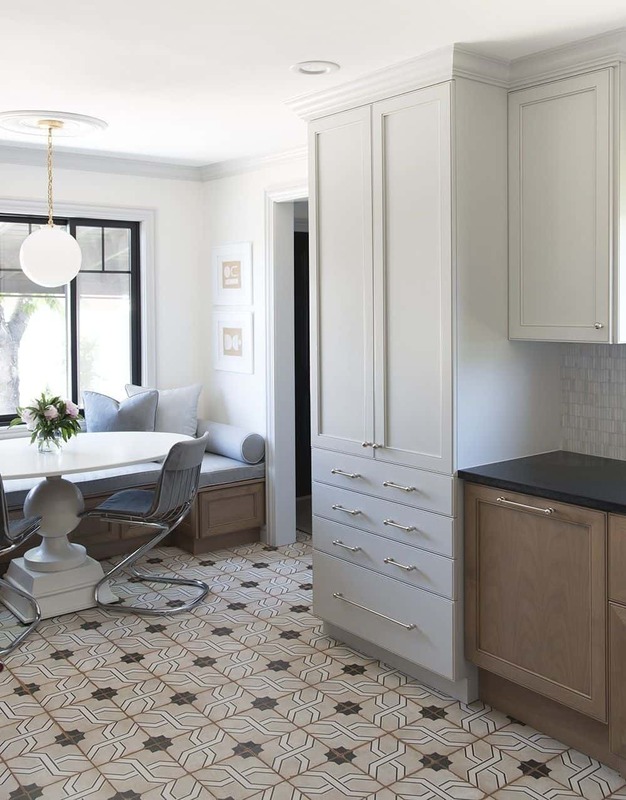 Add a simple table and chair combo and allow the rest of your décor to flow instead of giving your breakfast nook the spotlight. The key to embracing your coffee nook is going extremely simple and allowing the room to make a statement on its very own. 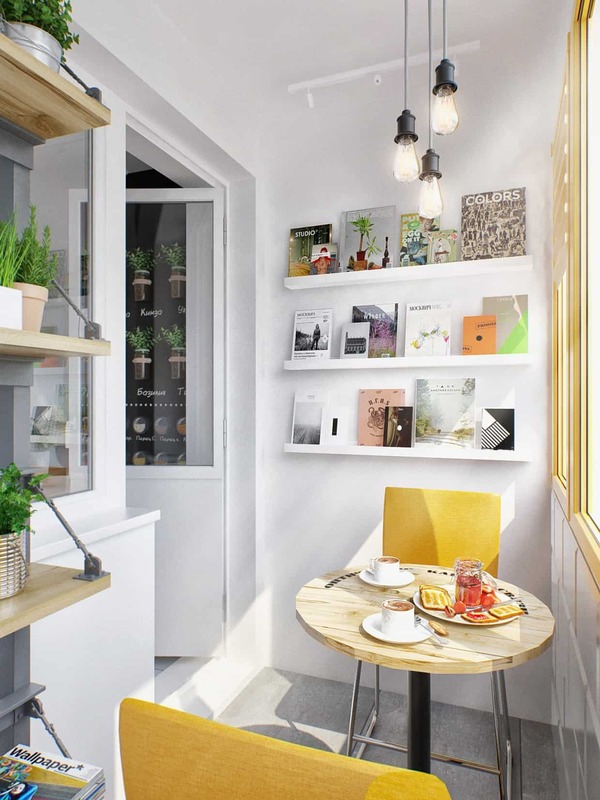 If you do not have the space for a full-on nook, add a tiny window seat and pair it with a simple table to create a unique coffee nook. A simple spot for you to enjoy the morning sunrise with your favorite cup of coffee. You might even want to consider using color throughout to give it a bold touch even though you want to remain as simplistic as possible. Allow your flooring to make the biggest impact by having neutral, simplistic decor. Doing so will make the space feel grand and welcoming. If you are planning to keep your furniture simple, consider patterned floors. Patterned flooring is great when you want to bring a brightening effect to the space. Doing so creates an interesting visual yet doesn’t take away from what you already have. 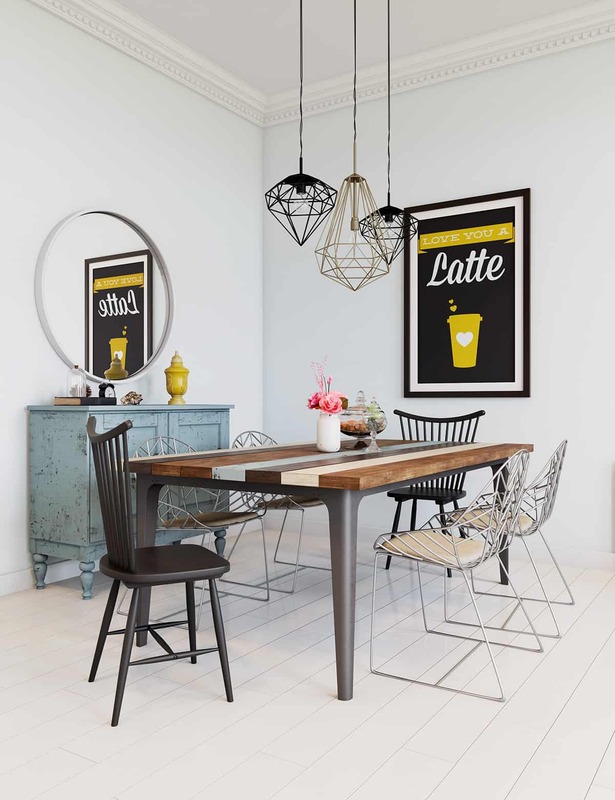 Are you considering upgrading your breakfast space? Share with us your ideas below.